This CD-ROM was published together with the 20th Anniversary issue of Starburst – the The Premier Magazine of Sci-Fi Entertainment. The CD-ROM contains many features such as soundtracks; movie trailers; interactive game demos; and, of course, interviews. One particular sequence is centred around a segment of an interview recorded with some of the Alien Nation cast and crew during the filming of The Udara Legacy. Featured interviewees include producer/director Kenneth Johnson and cast members Eric Pierpoint (George Francisco), Lauren Woodland (Emily Francisco), Sean Six (Buck Francisco) and, most importantly, Michele. 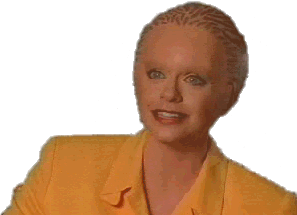 The Alien Nation segment lasts for approximately two and a half minutes of which a full twenty-two seconds is dedicated to Michele. Possessing both Susan Francisco’s “head” and Michele Scarabelli’s smile, Michele takes time to explain her command of the Tencton language and dialect. Whilst it’s always a pleasure to see Michele, it is a little unnerving to watch Michele as Susan talking about Michele playing Susan. Confused? Then watch Alien Nation – you won’t be disappointed! 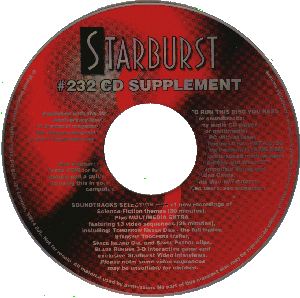 Top marks to Starburst for including this sequence on their CD-ROM but no marks whatsoever for spelling Michele’s name with two LL’s on the caption… Come on guys, do some research!